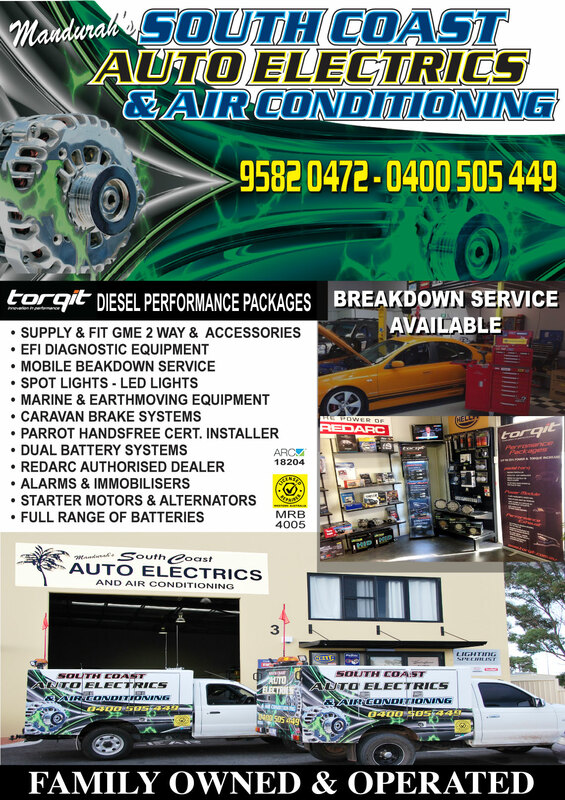 AUTO ELECTRICS MANDURAH. AUTO AIRCONDITIONING MANDURAH. Auto Electricians in Mandurah region. Auto Electrical Specialists, Marine and Earthmoving Equipment, Mandurah Caravan Brake Systems, Parrot Handsfree Certified Installer, Dual Battery Systems, GME 2 Way and Accessories In Mandurah, Alarms and Immobilisers installed and repaired Mandurah Region, Starter Motors and Alternators. Full Range of Batteries Mandurah, Peel Region. BREAKDOWN SERVICE AVAILABLE MANDURAH, ROCKINGHAM, PEEL REGION. Licensed Repairer MRB4005 Arc 18204.